Jeff is the Co-Founder, Senior Program Advisor and Expedition Leader for No Barriers Warriors. He is a lifelong adventurer, Emergency Medicine Physician Assistant and Expedition Guide. As a civilian, Jeff has always felt a strong sense of “debt repayment” to the veteran community and has committed himself to the development and execution of the No Barriers Warriors Program. To this end he has taken on the role of expedition leader and chief medical officer for many of the program’s sentinel projects. 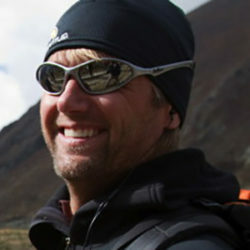 Since the programs inception, Jeff has served as expedition leader on Lobuche (High Ground), Cotopaxi and Warriors to Summits expeditions on Mt. Whitney and Gannett Peak.